We turned on the telly Saturday to see the burning wreckage of this Asiana Boeing 777 which crashed while landing on San Francisco International's runway 28L (and for the benefit of the many talking heads in the so-called newsrooms who consistently get it wrong, it's pronounced "two-eight-left" not twentyeight left). Thankfully the casualties were not worse than they were with the only tragic fatalities being two teenaged girls who we are now hearing reports of might have been hit by emergency vehicles. It could've been much worse as the aircraft may have had as much as 15,000 lbs of fuel still aboard upon landing, a normal amount of reserve fuel. To any trained pilot, the primary cause of the crash was immediately apparent; the aircraft had obviously landed well short of the runway. The video reporting clearly showed the debris field starting at the water's edge and the trail leading to the burned fuselage showed landing gear, horizontal and vertical stabilizers all having departed the main portion of the aircraft. Even visible was an aircraft part apparently still in the water. This initial conjecture was confirmed several days later with the release of this video taken by a bystander which clearly shows the aircraft well below a normal glide slope hitting the jetty and bursting into flame. The only question that remained is what caused this aircraft to land so short? Aircraft accident investigations are by their nature slow, plodding, drawn out affairs. The investigators must take their time to account for every possible aspect which may have been a primary or contributing cause of an accident to include such mundane details as what the pilots had for breakfast, or the brand of grease used on the aircraft (a factor in an Alaskan airlines crash years ago). Investigators will go to Herculean efforts to retrieve the voice and data recorders and to reconstruct the aircraft to determine the most likely cause of an accident. It's as much art as science with entire schools run by military and civilian safety agencies devoted to the discipline. This case may well be different. The pilots are alive, the recorders are intact, the wreckage is readily accessible, and the accident itself was caught on video. This is simply an investigator's dream case. The investigation has already ruled out possible terrorist activity, and the likelihood of a mechanical difficulty seems highly improbable. A British Airways B777 landed short of it's intended runway several years ago due to a fuel icing problem affecting both engines simultaneously, though that problem has been addressed. That aircraft employed Rolls Royce engines while this aircraft was equipped with Pratt & Whitney engines making a similar malfunction very unlikely. What is left then, is the control of the aircraft by the pilots. One of the most basic skills learned by any pilot from their first days in any aircraft is how to fly a visual approach to a runway. It's quite simply the bread and butter of all piloting skills. What the pilot has in front of him is a small strip of pavement upon which he must place his aircraft after having flown a stabilized approach. By stabilized approach, we mean one that approaches the runway at a constant angle, usually three degrees in slope and at a constant airspeed. This means that at about three miles from the runway, the aircraft will be about 1000 ft above the runway elevation. We can still hear our primary flight instructor repeating "aimpoint, airspeed" while in Air Force undergraduate pilot training over three decades ago. We were later in our career, a military flight instructor ourselves, repeating the same "aimpoint, airspeed" mantra to our own students. Common rookie errors made by beginning students would be things like channelizing on one particular aspect of the approach to the neglect of others. For instance, a student might be doing a great job controlling airspeed but allowing the aircraft to sink below its optimum glidepath. Or another might be right on glidepath but allowing their airspeed to decay below a safe point. The one most deadly sin which every beginning pilot has drilled into his or her skull is to never become "low and slow" on approach. This is important for the simple reason that the "low" part takes you closer to the dirt you don't want to hit, and the "slow" part takes the aircraft closer to a stall where the wing quits flying. Even being a little slower than normal approach speed makes an aircraft sluggish to fly. Together they can kill. Another integral part of being a pilot is known as the "crosscheck" or feedback loop. No pilot ever flies a completely perfect approach. Rather, the pilot makes control inputs, the aircraft will respond to those inputs which the pilot will either see visually or on the instruments, and then correct. This feedback loop continues on an approach all the way to touchdown with innumerable observations and corrections being made constantly. The skill to be learned by rookie pilots is recognizing deviations before they become large and making appropriate corrections. As an analogy, when driving down the road, few drivers are conscious of the many small inputs they make on the steering wheel, they just make them before the tires go over the yellow line. A pilot does the same thing but only in three dimensions. We apologize for spending the last few paragraphs detailing the basics of flying an approach, but we believe it's important to understand the mechanics of how an approach should be flown on a clear and calm day. These principles are virtually the same for every aircraft in the sky regardless of its vintage or sophistication. Pilots need to either fly the aircraft, or ensure that the autopilot is flying the aircraft using these principles to be considered competent professionals. We've recounted the basic skills needed to fly a visual approach that all pilots should possess, but would now like to explore the conditions this crew encountered on their approach. It has been reported that part of the electronic landing system and also the visual approach lighting system on San Francisco's runway 28L were inoperative Saturday. It's likely much hay will be made out of this fact, but this is a canard as we'll explain. The specific electronic equipment which was inoperative was the electronic glideslope part of the ILS system. This is a directional radio signal which the aircraft receives and displays to the pilot where the aircraft is relative to a three degree glideslope. It is primarily used for landing in instrument conditions, i.e. when the runway can't be seen. In addition to the the inoperative glideslope, the PAPI or "precision approach path indicator" was also inoperative. This system is a simple array of spotlights behind baffles which indicate either white or red to indicate to pilots their position on the glideslope. The reason for both of these outages is apparently due to some ongoing construction on the runway which necessitated a "displaced threshold" or simply the end of the runway being officially displaced down the pavement a certain distance. The runway is then marked with a new runway threshold by paint. Since the existing systems were calibrated for the original runway threshold, they were deactivated as they would not have been accurate for the displaced one. This is not an uncommon occurrence. Both of these outages were published in the Notams or "notices to airmen" which detail all pertinent information needed by pilots for landing at any airport. Pilots are expected to review the notams for every leg they fly so this outage should have been known by the Asiana crew even though with the weather being clear, it should not have made any impact on the flight. Our point, though, is that none of it should have been needed for a routine visual approach, especially when the crew had prior knowledge. The 777 can even generate its own internal glidepath for display to the pilots had they wished to set it up. We will admit that while flying an approach with no PAPI or electronic glideslope is an annoyance, it is not any cause for alarm. One must simply pay closer attention to the visual cues that are available. When the runway is in sight, pilots are expected to use the appearance of the runway to determine whether they are high or low on the glidepath. The next bit of information to reach the public is that the pilot flying the aircraft that day had only 43 hours in that type aircraft and that this flight was his first trip to this airport in a 777. While this sounds like it may be the smoking gun, we have cause for doubt. This pilot was a veteran with over 10,000 hours including the 747. Having low hours in type is a routine practice today as modern flight simulators are as realistic as the aircraft. In almost all cases, a pilot's first actual flight in a new aircraft will be on a revenue flight with passengers. There are seldom, if ever "training flights" any more. Having ourselves flown jumbo aircraft, we know being low on glidepath is more critical on larger aircraft for the reason that the pilot sits well in front of the gear. On a 777-200, the pilot is more than 90 ft in front of the main landing gear. During approach, being even slightly low on glidepath can cause a short landing. It is highly unlikely that these pilots didn't know that being low on approach is problematic but in any event, being slightly low would generally mean getting the tires scuffed up from being drug through the overrun, not a grossly short landing as in this case. The normal touchdown zone for airliners is 1000-3000 ft beyond the threshold. This aircraft hit the jetty which appears to be over 2000 ft short of the threshold, nearly half a mile short of where it should have touched down. The way this seems to be shaking out is one of two scenarios. Reports indicate that the inexperienced pilot was in the left seat which may mean that the pilot in the right seat was either an instructor or line copilot. If it turns out that the right seater was an instructor, he clearly let his charge get the aircraft well outside of acceptable parameters and beyond his ability to salvage the approach. This is a double failure: the student made a rookie error, and the instructor allowed it, if this was the actual scenario. Instructors need to not only know how to teach but to let minor deviations occur so the student can learn but never to allow the situation to progress beyond their ability to recover. In the second possible scenario, the line copilot observed the captain allow a major deviation to occur and said nothing until it was too late. One of the tenets of crew aircraft piloting, is that the crew functions as a unit, and a deviation left uncorrected by the non-flying pilot will be as serious an offense against the non-flying pilot as if he had made the error himself. Non-flying, or monitoring pilots are as equally responsible as flying ones. Here's where the question of culture possibly enters in. It has been well documented that a hierarchical culture can prevent or interfere with the necessary intervention from a subordinate in a safety sensitive situation. In such a culture, deference to authority and age are held in very high esteem. 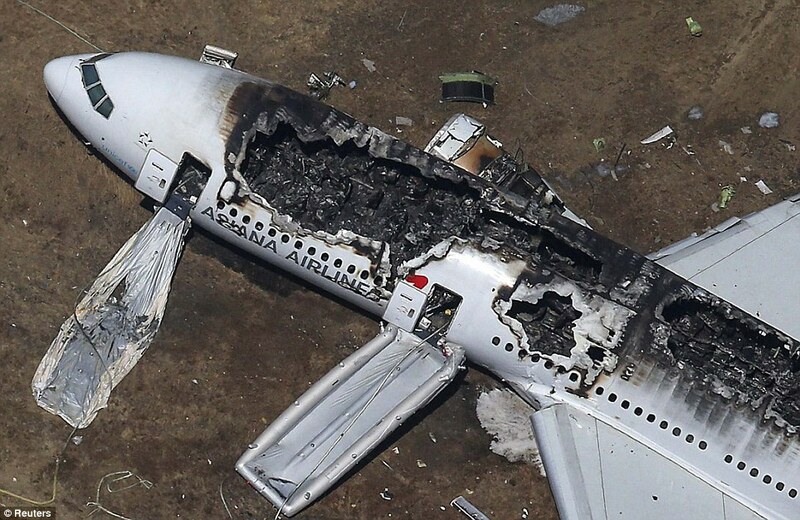 Korean national crewed airlines in particular have had a string of accidents attributed in part to this phenomenon. Whether or not this is the case here has yet to be determined by crew interviews and analysis of cockpit communications. A concerted effort was made on the part of Korean safety agencies back in the 1980s to address this problem by introducing training and methods known as crew resource management. We've written previously how automation is slowly allowing hands-on piloting skills to whither. The scariest thought about this accident is that apparently without the routine electronic guidance that these pilots were used to seeing, they made gross errors of airmanship, and the monitoring pilot either did not see the error or was somehow inhibited from correcting it until it was too late. We realize it may seem harsh to criticize the pilots when the official investigation has hardly started, yet it is hard for us to imagine any other cause for flying a perfectly good jet into the ground. Should mitigating evidence appear such as a mechanical problem, we will be the first to offer a retraction. Whatever the underlying cause, though, a gross deviation was allowed to occur and left uncorrected on a clear day with calm winds in a state of the art aircraft. One additional factor, especially considering the visual weather conditions in the SFO area on Saturday, is the use of the local charted visual procedures. These procedures allow a higher rate of arrival into the airport during good weather days. As you know, these things can set the crew up for a "slam dunk" approach, high and fast on final, which can further lead to overcorrection the other way, resulting in a low approach, which, if corrected with only pitch will lead to an increase in angle of attack and induced drag, which causes airspeed to decay if not corrected. Thus, low and slow, as was the case in this accident. I have to strongly object to the whole notion that Korean culture somehow caused this crash pointed out in the second to last paragraph. There is truth that hierarchy in the cockpit created problems, but American and European airlines had the exact same problems into the beginning of the 1980s (most notorious are Tenerife and UA173); it took a complete overhaul of commercial crew training to break this amongst Western pilots. The WSJ article you linked actually argues against the whole "ethic culture hierarchy" thing. A more likely explanation is that this is a case of general deference to experts or in this case, the PIC, that is seen across all cultures.